Located at 953 South Main Street in Centerville, ohio. From unforgettable pancakes to Famous chicken & waffles, to mouth-watering burgers to wings that make Buffalo jealous… Our family made it’s name synonymous with good eats in the Southwest, Ohio area beginning with the Golden Nugget Pancake House carrying on the tradition with Doubleday’s Grill & Tavern. Now enjoy a fresh take on storied family favorites along with a few items you may not find anywhere else with The Famous Restaurant. 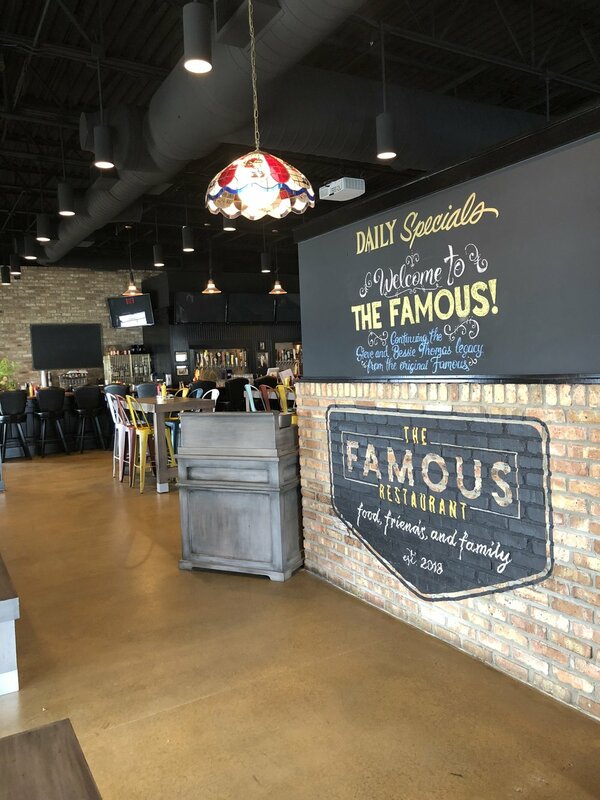 We invite you to stop in to enjoy a comfortable, relaxed atmosphere centered around good food and great people and experience a new take on some of your favorites or be bold and try something new on our ever changing Famous menu. The Famous Restaurant is always accepting applications for team oriented, energetic and passionate people. We are a full service, family friendly restaurant obsessed with quality and hustle. Be a part of something truly unique where we pride ourselves in teamwork that produces excellent results and raving loyal customers. Our intent is all for our customer's delight.